How to clean your contact lens correctly? This tool helps you keep your contact lens clean and clear without using your dirty hands. - Easy sterilizing care. Soak or spin clean your contacts. - No more finger rubbing your contacts. - Handy & Portable. Perfect for bringing it on the go! 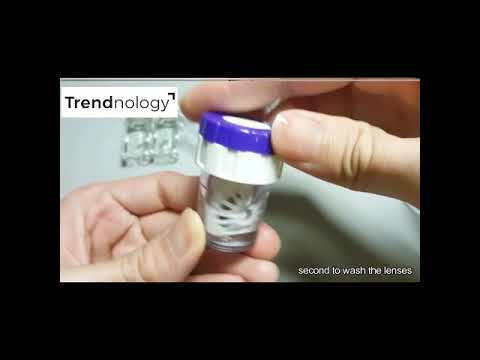 Clean & Sterilised Contact Lens on the go. 1. Insert contact lens into EasyClear. 2. Manually rotate the colored top of the EasyClear to clean and sterilise the contact lens without direct touch with your finger. 3. Remove contact lens when done.